It has been a year that Reza Mohammadi has arrived with his family to Norway where he asked asylum. He is a Hazara from Afghanistan. Reza Mohammadi’s problems began to grow in 2002 when he was forced to flee his home in mountainous Bamyan for security problems and had to go in hiding for sometime in Kabul, the capital of Afghanistan. Reza Mohammadi is one of those Hazaras who did not feel safety in his hometown and had to flee to Kabul. He was threatened in Kabul as well and then he had to flee to Herat in the west of the country. He and his family lived for sometime in Herat but soon the people who threatened them back in his hometown and Kabul, reached to Herat. After receiving death threats, Reza Mohammadi went to police and asked for help but the police was unable to help him out and he escaped to Iran with his family. Coming to Iran, there was a greater problem in front of them; based on Iranian laws, they did not have the right to ask for refugee status in this country so they had to live in hiding as hundreds of thousands of other refugees there. Reza Mohammadi and his family, as tens of thousands of other Afghani refugees had to flee Iran because of discriminative pressures by the Iranian Regime on them and went to Syria. They’d heard that in Syria the UNHCR office would help the refugees and asylum seekers. The Syrian civil war began and they had to escape towards Europe and came to Norway. 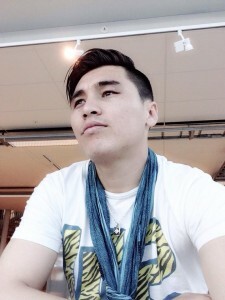 The Norwegian immigration authorities have rejected the asylum request of Reza and his family; he is now waiting for the decision of the appeal court. Reza Mohammadi and his wife who’s been witnessing the violence in Syria and have crossed all the deadliest borders to get to Norway, are suffering depression after receiving a rejection of their asylum requests. Based on what they have seen at least in the last ten years of refuge and asylum seeking; now they believe there is land for the Hazaras on earth where they could live without fear of massacre, ethnic discrimination or persecution. 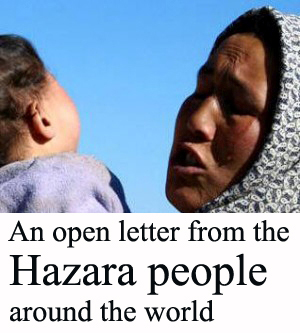 Who are the Hazaras and whey they have problems? The Hazaras are one of the ancient ethnic groups of Afghanistan. Their language is Hazaragi and their faces are very similar to the eastern Asians. Their distinguishing features such as almond-shaped eyes have always been problematic for them and have caused systematic racial discriminations against them. On the other hand, the Hazaras have always been under persecutions because of their sectarian/religious believes for which they have been marginalized. Most of them are Shiite believers in a country where most of their population are Sunni believers. In 1892, Amir Abdul Rahman Khan, then the King of Afghanistan issued Jihad Sanction against the Hazaras, because they believed in a different sect of Islam. Based on his decree, the killing of Hazaras was obligatory. 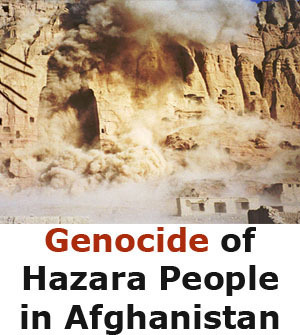 Based on Minority Rights Group Organization’s documents, on that time the Hazaras made 67 % population of Afghanistan.¹ based on King Abdul Rahman Khan, 62 % of the Hazara population was massacred in Afghanistan and their lands and properties were confiscated by the Afghan Government and were given to the Pashtuns. After the massacre, based on the decree of the king, the survivors of the mass massacre went into slavery and were deprived of their rights for study and work in government offices. On that time, only a small number of the Hazaras were survived. The Hazaras survived from the mass massacre were divided into two groups; a part of them fled Afghanistan and sought refuge in central Asia, Iran and western part of India (Pakistan now) and were settled down there. The Hazaras currently living in Quetta Pakistan or in Khorasan Province of Iran are the survivors of Abdul Rahman mass massacre. Faiz Mohammad Kateb, the historian at Amir Abdul Rahman’s court writes in his book, “among those fleeing the massacre, only ten out of hundred could survive and reach alive to the borders of neighboring countries, and other ninety were dead before arriving to the safe lands. We can hardly find such mass flee with such heavy casualties, in the history of migrations and displacements. The other part of the Hazaras that remained in Afghanistan fled the cities and escaped to the mountains of the central highlands of Afghanistan that is known today as Hazarajat or Hazaristan. After the end of Abdul Rahman Khan’s sovereignty in Afghanistan, systematic discriminations continued on against the Hazaras in Afghanistan. Other kings, who came on power followed the path of Abdul Rahman Khan and deprived Hazaras from study and forced their lives into slavery and violence. Only when the pro-communism government came on power in Afghanistan in the 1980s, the pressures on Hazaras reduced but again the situation changed against them after the fall of the pro-communism government. Then the Hazaras were under violence by different Mujahedin groups. 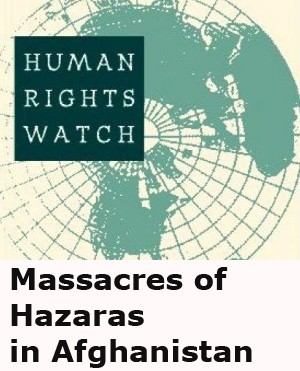 In February 1993, about one thousand Hazaras were massacred in Afshar area of Kabul by Mujahedin groups ². It is about three centuries that the Hazaras face violence, attacks and their land and properties are being looted by the Pashtuns and they are considered to be the second class citizens on their own homeland. The life of a Hazara in Afghanistan is always mixed with fatal nightmares about killings and violence. 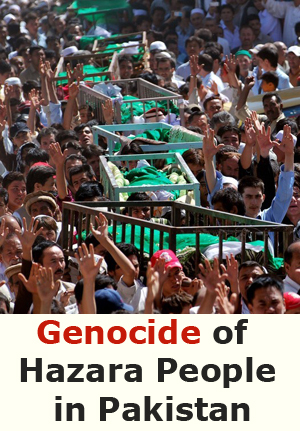 Therefore the Hazaras escape Afghanistan to escape violence and mass-massacre. When the terrorist group of Taliban was ruling on Afghanistan, the Hazaras again faced with massacre and forced displacement. Mullah Omar the leader of Taliban issued a decree in 1996 that obliged the Taliban soldiers and commanders to massacre Hazaras, as a result of which thousands of human being were killed in Mazar e Sharif, Bamyan, Baghlan, Ghazni and other cities of Afghanistan, because they were Hazaras ³. After the terrorist group of Taliban was thrown out from power in 2001 by the International Coalition forces lead by the USA, it was thought that the Hazaras’ situation would also change but the systematic discrimination of the Afghan Government continued on against the Hazaras. In this new era, though the Hazaras have participated actively in all democratic processes of the country such as elections, but none of the Hazara provinces were reconstructed, neither even a small percentage of multi-billion dollar reconstruction funds for Afghanistan was considered for the Hazara areas. In the last twelve years, the quota of the Hazaras in the government development projects was only 2 % while their population makes 19-20 % of the whole population of Afghanistan. Instead the Afghan Government has always tried to create obstacles for development projects of International Organizations in the Hazara areas. Now we can obviously see the result of discriminations against Hazaras after twelve years of presence of International forces in Afghanistan. 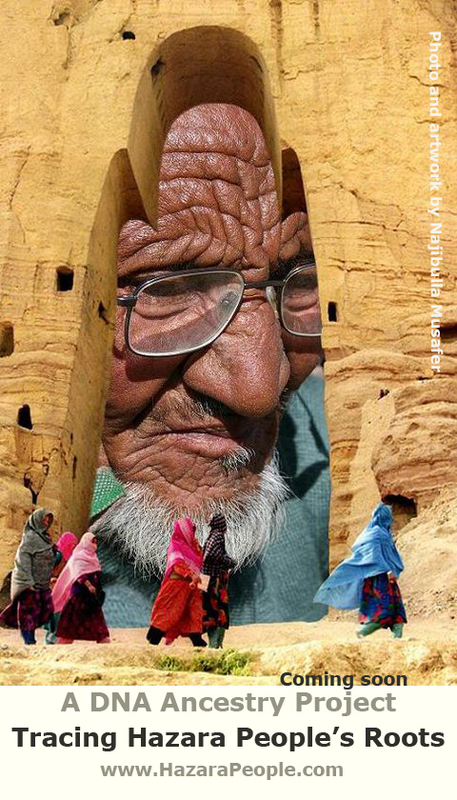 In spite of spending more than 750 billion dollars for security and reconstruction of Afghanistan, in Hazara inhabited province of Bamyan, people live in the caves as a result of injustice. Bamyan has not yet electricity power and in Daikundi you can not find even one meter square asphalted road. In addition to this, in Hazara provinces, there are not school buildings and students study under the tents or in open spaces while the Hazara provinces have been the most peaceful places during the last twelve years. On NATO operational maps, these provinces are considered as green or secure areas in security aspects. In spite of all this, the roads to Hazara provinces are always made unsecure and many Hazara passengers are killed by the Taliban. The Hazara provinces are surrounded by Pashtun provinces, and thus Taliban block the ways by the help of the local Pashtuns and shoot the Hazara passengers who pass by. For these reasons, in spite of presence of thousands of international forces in Afghanistan, most of the Hazaras do not feel safe and had to flee their country to rescue their lives. The Hazaras are not involved in any of the wars in Afghanistan, but they are still being threatened and killed by the Taliban in different parts of Afghanistan. The refugees in Iran do not have right for work, neither they have health insurances, in addition time to time the Iranian police attack on their hiding places and arrest them, torture them and deport them back to Afghanistan. After the fall of the Taliban regime and the presence of the international forces in Afghanistan the Iranian government has always used the Afghan refugee issue as a pressure against the Afghan government. The Iranian Government is against the presence of the international forces in Afghanistan and thus whenever the Afghan government and the international community begin talks on long term political and military cooperation and strategic treaties, the Iranian government arrest hundreds of Afghan refugees and after torturing them, deport them back to Afghanistan to challenge the newly established Afghan government that is supported by the west 4. In the year 2012, when the Afghan government was negotiating with the United States on a long term security-strategic treaty, the Iranian government increased pressure on Afghan refugees in this country, and issued a decree based on which in many cities including Fars Province even the Iranian civilians could stop the Afghan refugees and check their documents. After the issuance of such a discriminative and shameful decree, many nationalist Iranians attacked the refugees in different cities of Iran, killing some and injuring many of the Afghan refugees. After that, the entrance of the Afghani refugees was prohibited into the public parks; in Esfahan city, the police stopped Afghani refugees who were entering Soffeh public Park in this city. Because of all these pressures, Reza Mohammadi and his family had to leave Iran and went to Syria to refer to the UNHCR and ask asylum there to save their lives. In the year 2006 Reza and his family entered Syria and asked asylum at UNHCR office. There they found thousands of Hazara asylum seekers from Afghanistan. All of these asylum seekers had filed their asylum request at UNHCR office and were waiting for the answer. After a time, the UNHCR office accepted their requests and recognized them as refugees. The UNHCR office offered Reza Mohammadi and his family a resettlement to a third safe country. The embassy of the United States of America agreed for their resettlement in this country. When a third safe country decides to give resettlement opportunity to the refugees, it takes three to six months until their process completes. Reza Mohammadi and his family were waiting for the completion of their resettlement process to the United States, when the Syrian civil war began and reached throughout the country. When the civil war reached to its hottest point, the UNHCR office was closed down and their personnel left the Syrian territory. When the UNHCR office was closed in Syria, more than two thousand Hazara refugees were waiting to be resettled to a third safe country including Reza Mohammadi and his family. These refugees were blocked in the middle of Syrian civil war fire and they could be massacred any time. The Atlantic Magazine of Washington DC wrote in an article of May 21st 2013, that more than one thousand Hazara refugees in a parking, in Zainabia city 6. Being blocked in the middle of a sectarian war that was between the opposition Sunni groups and the Assad Shiite Regime, these Hazara refugees were witnessing bullets and rockets that exploded closer and closer to them. The Atlantic Magazine added that if these Hazara refugees would not be rescued by the International Organizations, they could possibly be massacred by extremist Sunni militant groups. 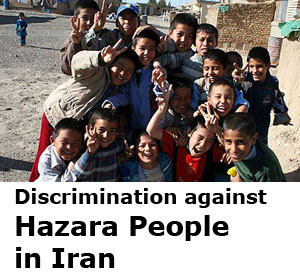 But unfortunately none of the International Organizations in Syria paid attention to these Hazara refugees. Based on the statistics, at least ten of these refugees are being killed in Zainabia and many were injured by the rockets exploded in their place. In spite of this, they were not able to flee the place and get to a safer place. The Syrian civil war went on and the Hazara refugees were blocked in the middle of fire. At the end of August 2013 the areas such as (Arbain, Zomelka, Jomar and Ain Tarma) in the suburbs of Damascus were attacked by Chemical weapons 7. These suburbs are about three to four kilometers distant from the place the Hazara refugees live. Reza Mohammadi was injured in one of these attacks; although these chemical attacks did not affect the Hazara refugees directly, but they had to escape away from Syria after the attacks. Some of these refugees as Reza Mohammadi have secretly escaped away from Syria and moved to Turkey. In Turkey, the UNHCR office announced that they couldn’t do anything for the refugees from Afghanistan, this way their files were closed. Therefore, Reza Mohammadi and his family left Turkey for Europe. After many perils finally they reached to Norway where they asked asylum. But with all documents and proofs, he has provided the Norwegian Immigration Office have rejected their asylum request and they are now waiting for an appeal court in this regard. 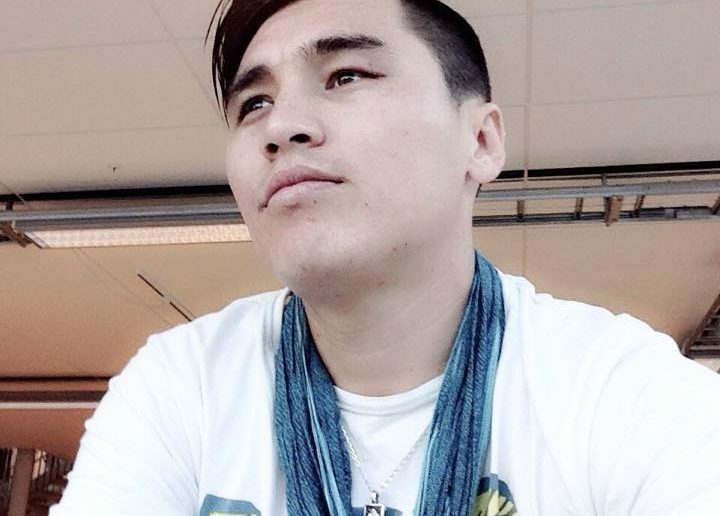 It is not only Reza Mohammadi who’s been rejected this way by the Norwegian Immigration Authority or (UDI), but most of the Hazara asylum seekers were rejected and deported back to Afghanistan, in spite death threats they’ve faced there. 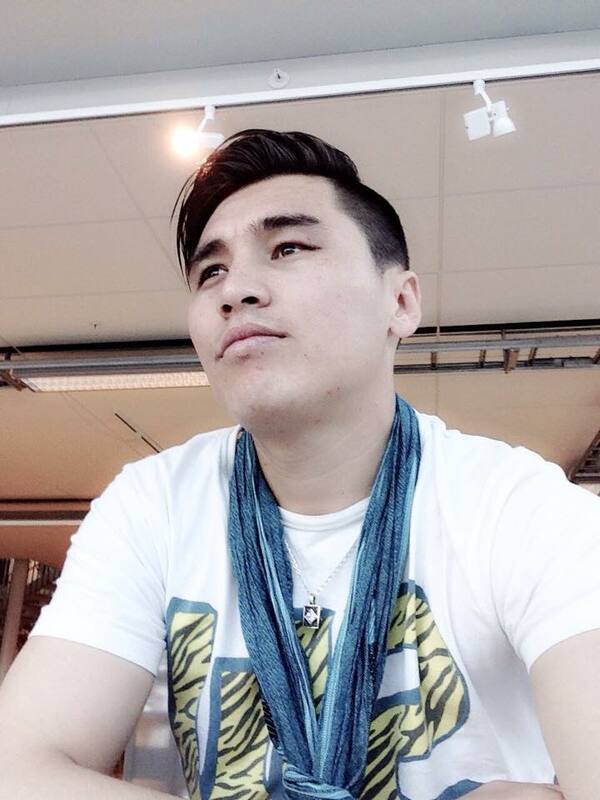 Ali Nabi Zada, a twenty year old Hazara asylum seeker who lives in Norway since 2010. He is from Jaghori district of Ghazni province, one of the most insecure provinces in Afghanistan. Ali Nabi Zada has lived most of his life in exile in Iran and Pakistan. His father and uncle were members of an anti-Taliban party and have fought with Taliban. He and his family escaped from threats by Taliban and other warlords and went to Iran. Many years he has lived with difficulties in Iran and when the deportation of the refugees from Iran accelerated, his family sent him to Turkey. His father was deported to Afghanistan but none of his family has heard from him since. Ali has registered his name in UNHCR in Turkey. He waited for one year to receive a response from the UNHCR office, but as thousand others, he had to wait for longer than that. He then decided to get on a life-boat and came to Greece. In Greece his finger-print was taken by Greek frontier police but he crossed borders and came to Sweden. When the Swedish authorities found his Greece finger prints, they wanted to deport him to Greece, from Sweden he then came to Norway. In Norway, after eight months, the immigration authorities have found his Swedish finger print and want to send him back to Sweden, but he fears that the Swedish government would deport him back to Greece. The Norwegian immigration authorities say that, because Ali has said nothing about his finger prints in other countries, his overall asylum claim is baseless for them.